Mix elegance and sophistication with this ladies' watch from Citizen. This stunning two-tone timepiece is given a chic edge with a pretty mother-of-pearl dial complete with Swarovski Crystals. 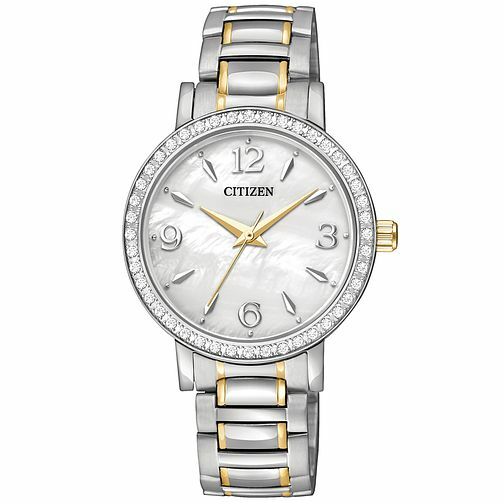 Citizen Ladies' Two-Tone Quartz Swarovski Bracelet Watch is rated 5.0 out of 5 by 1.